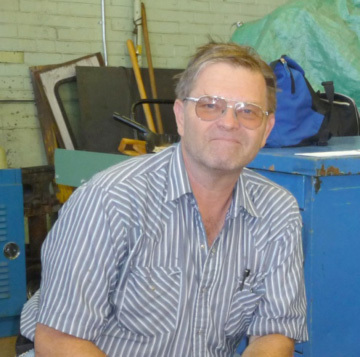 Born in Ogden, Steve is a fourth generation railroad man and serious buff. His great grandfather helped build the railroad into Utah. His dad worked for the Ogden Union Railroad & Depot of the Union Pacific. His mother worked as a genealogist for the Southern Pacific. Steve began his railroad career as a concessionaire at the age of 13 and has stuck with his passion, and has no plans to abandon it. He advanced to Senior Trainman with the Heber Creeper of Heber Valley Utah and has sought any experience associated with railroading. Steve is generally recognized as a railroad historian and usually can give you the complete background of almost any engine number you can come up with. He was part of the design and construction team of the Salt Lake City Light Rail and the Front Runner which now drops off riders at the Union Station. Steve brings an encyclopedic understanding of the operating aspects of our major project, engine #223 of the Denver and Rio Grande Railroad. He believes #223, when completed, will bring Ogden another community attraction like “Iron filings to a magnet”.